A “residential lease” is a contract between a landlord and a renter, giving the renter the right to live in a house or apartment. This article gives a brief outline of several common concepts having to do with residential leases, and the duties of landlords and renters. In order to be enforceable in Maryland, a residential lease must meet certain requirements. 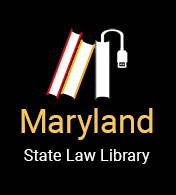 For example, Maryland law limits late fees, provides notice requirements, and protects renters from many lease provisions, including confessed judgments, waivers of the right to a jury trial, and certain penalties. Minors are held to different standards in contracts generally. Maryland law gives certain duties and rights to renters and to landlords. The state of Maryland sets certain requirements for property conditions, and local jurisdictions (counties and cities) may create other, stricter requirements. Landlords may charge a security deposit, which they hold for renters to guarantee that renters fulfill their end of the agreement. There are many rules about how landlords have to treat this money. When either party does not fulfill their end of the lease agreement, they are “breaching the lease.” Landlords must give renters notice and a certain amount of time to fulfill their obligations under the lease, before seeking to evict the renter. The amount of notice depends on the situation. Landlords may not seriously interfere with renters’ ability to use and enjoy the property. Landlords have a duty to provide renters with receipts for rent payments if the renter either pays with cash, or asks for a receipt. If landlords are not meeting their obligations, renters may ask the court to allow them to pay their rent into escrow. Landlords may not evict or threaten to evict renters for making a good faith complaint, suing the landlord, or getting involved with a renters’ organization. Renters have a duty to pay their rent. If they do not, landlords can file in court to evict the renters, and can sue for the rent owed. Renters have the duty to return the property in the same condition they got it in, except for ordinary wear and tear. If a landlord or a renter dies, the lease is still in effect. If the landlord sells the property, the buyer has to honor any existing leases. In a mortgage foreclosure, the renter’s rights depend on whether the lease came before the mortgage. If the lease came first, it continues. If the mortgage came first, the renter is entitled to certain notices. If the property is sold at tax sale, the lease terminates. If the property is converted to condominiums, the renter has certain rights.